TEEEZ the season for glamorous, golden beauty looks! I added some extra sparkle and shine for the holiday season with Teeez cosmetics. 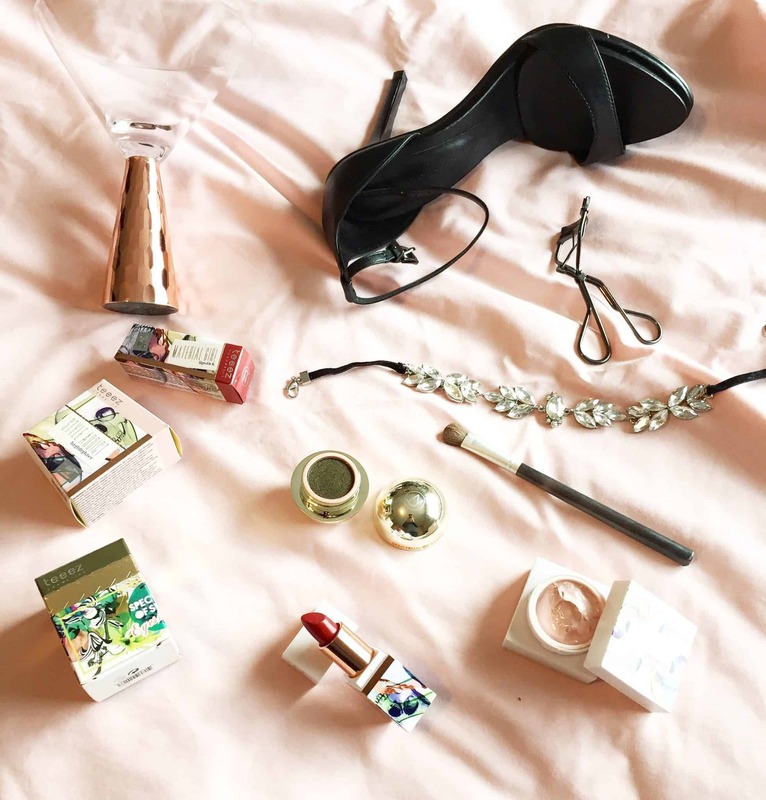 I used some of the favourite Teeez Cosmetics essentials for the holidays. 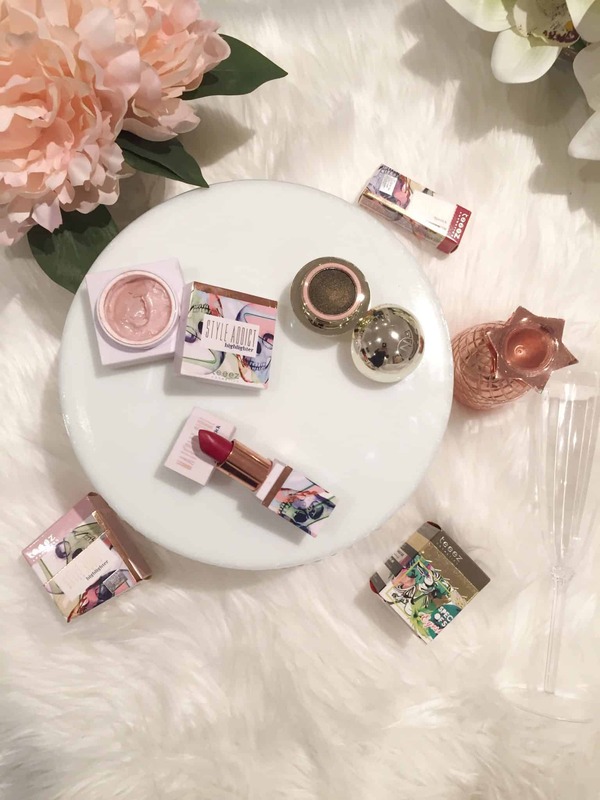 European beauty brand Teeez Cosmetics launched in Canada last year, and is sold exclusively at Hudson’s Bay and thebay.com. This dynamic little gold orb sets the scene for a glowing night out. A double-changeant shade, the shadow is infused with moisturizing Argan Oil of Morocco. $24.00 CAD. I love this shade of eye shadow. 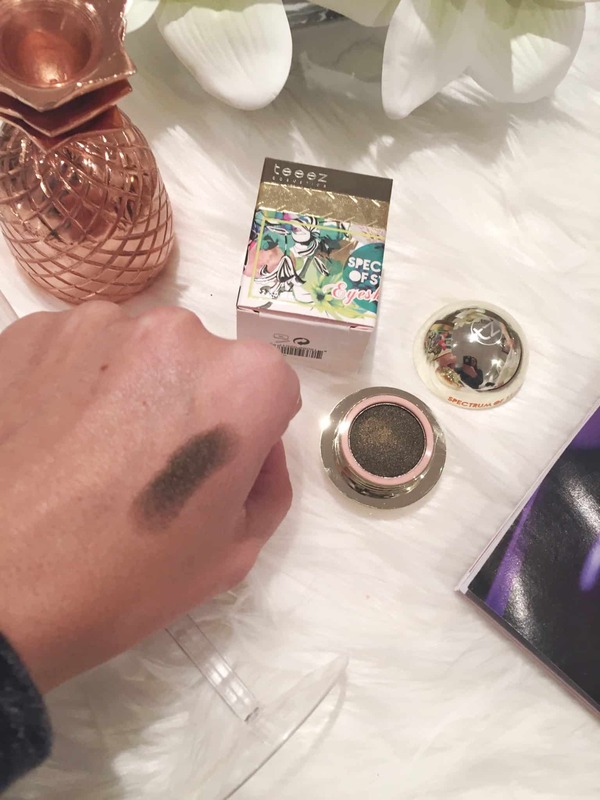 It is a shimmery, brown shade that can be used for any occasion. The packaging is super cute, it a gold round ball. 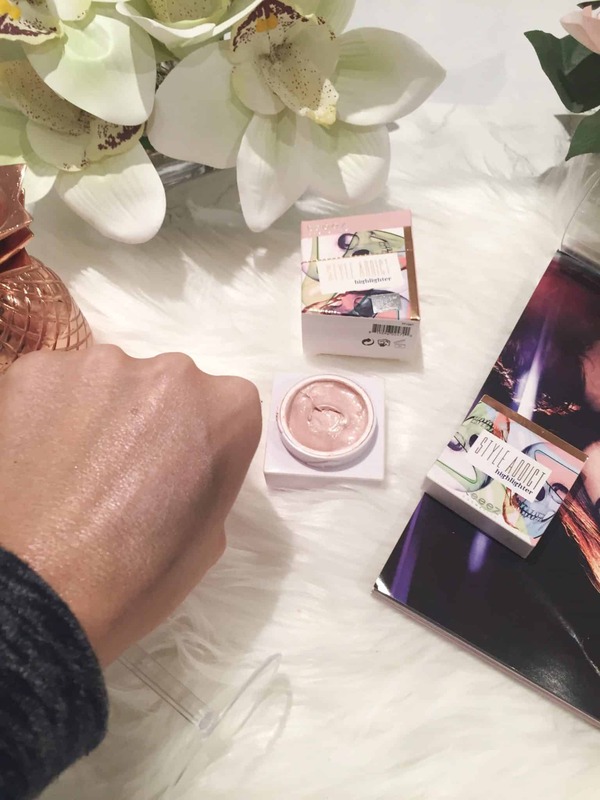 From the brand new Fashion Vendetta collection, this highlighter is fierce! Smooth on cheekbones for a radiant glow, or sweep along your décolleté for eye-catching shimmer. $32.00 CAD. I love using highlighters to give my skin a radiant glow. 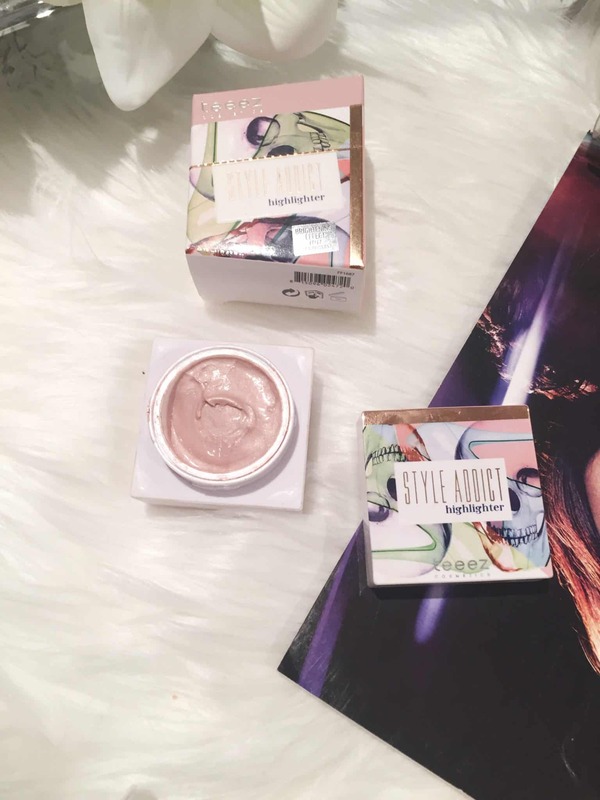 It is a creamy,weightless highlighter with great bronzing pigments in a pearlised reflective base that gives my skin a sheer, natural-looking brightening effect. You can see the glow on my hand. The coverage is full throttle and fabulous. Adding character, depth and dimension to every line and curve of your lips. With a lustrous, shiny finish that’s sultry and sophisticated. Not to mention a rich, hydrating formula that leaves your lips feeling hydrated yet surprisingly light. I normally don’t wear bold lipsticks but with the holidays I thought I would go outside of my comfort zone. 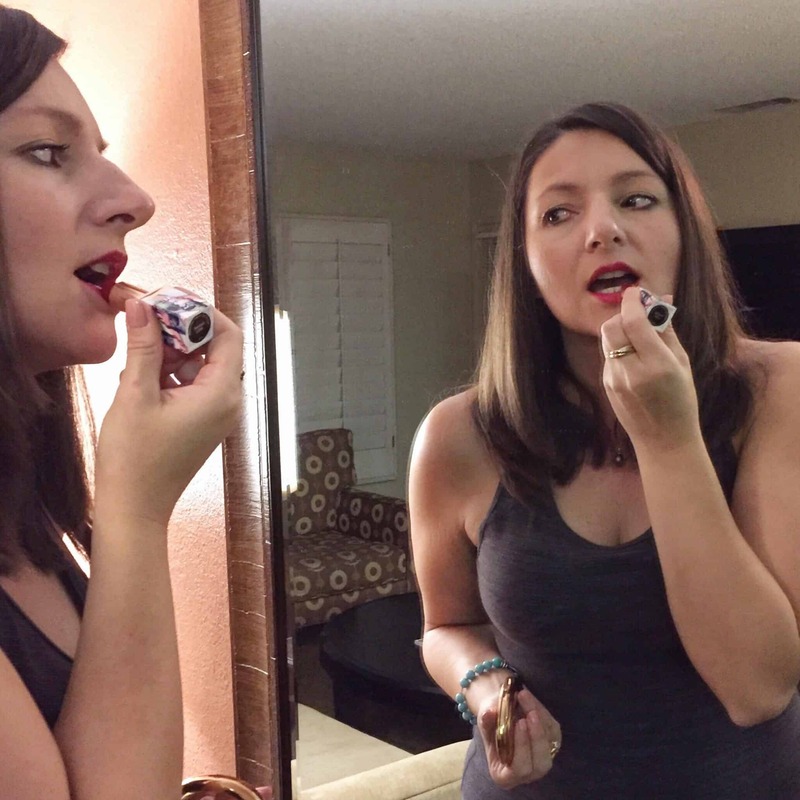 I was pleasantly surprised – I loved the bold colour of this lipstick. 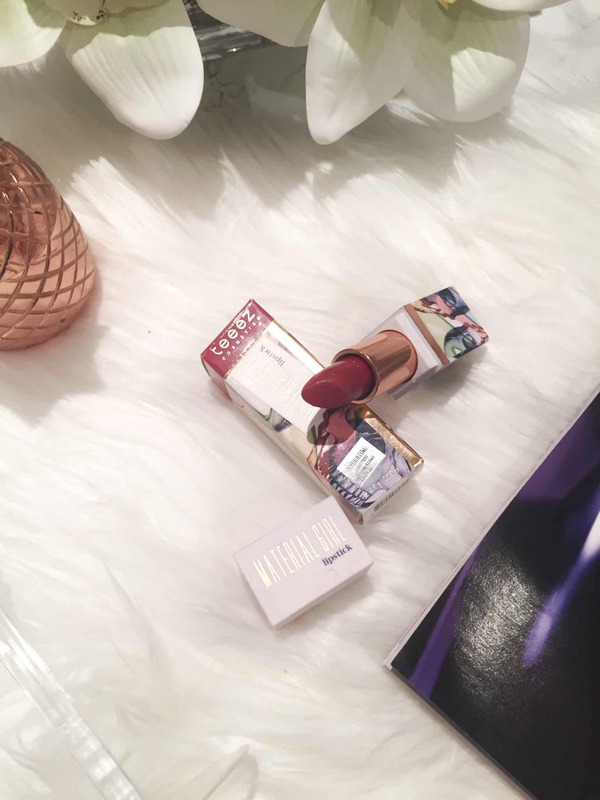 This is a creamy, hydrating lipstick that applies smoothly with a slight shiny finish. It is paraben free. $29.00 CAD. I love the floral packaging of this lipstick. 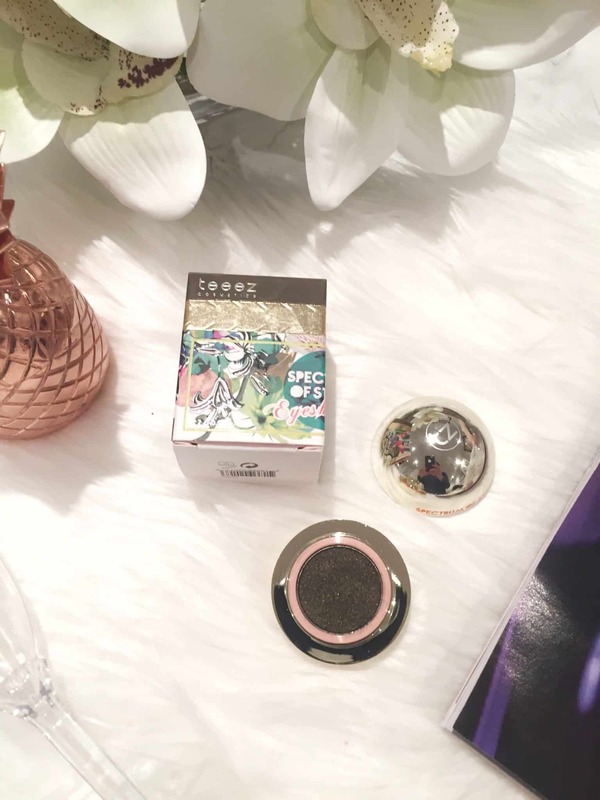 Have you tried any Teeez Cosmetic products? Please share. Samples for review. Not an Ad. Not Sponsored. This review is 100% my honest opinion. Great post! I love me some Teeez! Fell in love from the first lipstick swatch :)) Excited to see more from them. Look at you, what clever ways to use their name brand into your post like that 😉 The highlighter looks awesome, I love how smooth and soft the color tone is, I bet its gorgeous on! The red lippie looks awesome too, I love a good bold red. Was it lasting? I am bananas for this brand, especially in the spring!